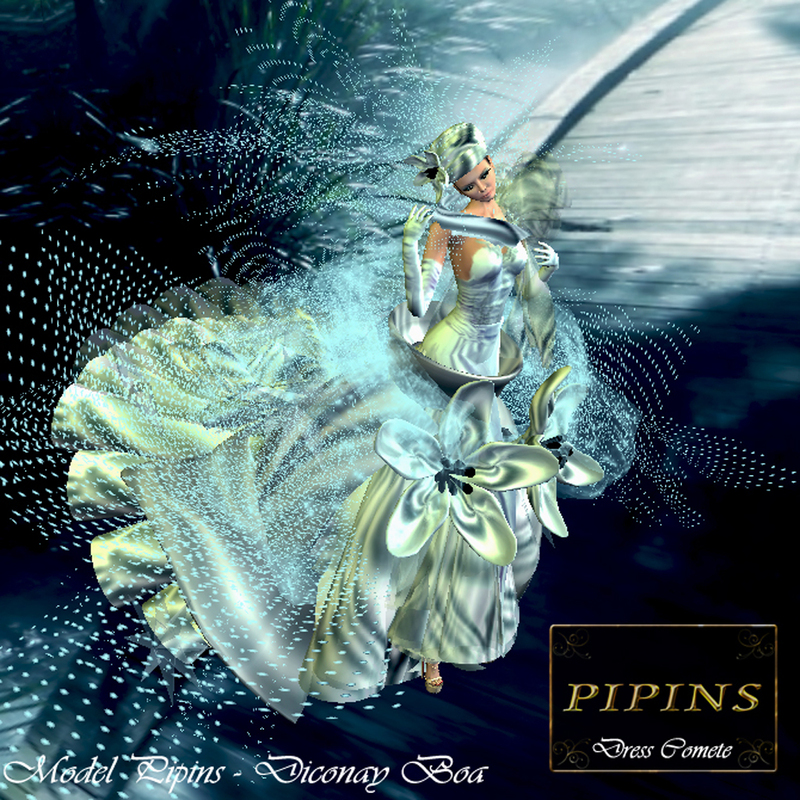 Pipins presents you the Dress Comete, worn by Diconay. Full of soft but dramatic detailing this beautiful powder blue gown has dreamily draped netting, featuring soft silks and flowers . The strapless jewel encrusted bodice is adorned with diamante motifs and the satin wrap with a ribbon bow tie is the perfect accessory for the ultimate romantic look. To complete the look a matching hat is worn surrounded with swirls of netting and an elegant placed flower.